If only autism were that simple to solve. Probing the mind of Apple owner Steve Jobs may be next to impossible for us non-celebrities, but he certainly found a way to attract a group whose minds are also difficult to comprehend. Several news outlets are carrying a story originally from Houston about the iPad assisting autistic children in communication (the link takes you to CBS4’s version). Specifically, parents who purchase an iPad can store pictures or other visual cues while their child taps or scrolls to point out his/her needs. While not documented for this story, I’m certain the benefits go beyond autistic people who don’t communicate orally. Whatever the benefits, autism experts believe the iPad is the next step in filling gaps autistic people have that other don’t. This isn’t the first time Apple and autism have tangoed in the news together, as an autism center in the Twin Cities implemented iPods last year. Other stories have focused on the iPhone, which some joke is an iPad nano that makes phone calls. Evidence is mounting to support Apple’s surprising benefits for autistic people, regardless of what device is used. I did scope the other versions of this story online, as some news stations will employ the technique of video news releases (VNR’s). A VNR is essentially an advertisement or pitch created by a company that looks like a news story and is presented as such during a newscast, but the subjective nature can be detected easily by watchful eyes. A case could be made that I’m discussing a VNR, since the same story has appeared in three websites and highlights the iPad, Apple’s latest foray in the netbook PC market (yes, Apples are technically PCs). However, the iPad has no rival at this point, and previous articles have focused on the relationship between Apple and autistic people. On top of that, no computer company is specifically targeting the autistic demographic simply because there’s little financial stability in that group, rendering any marketing ploy ineffective. The more likely scenario is was one station ran the story, other news outlets saw it, and decided to use the story themselves. Borrowing stories, especially from a major network’s local affiliates, is also common in television news. There’s a common thread among all the Apple devices I mentioned that I believe is the reason their products are gold mines for families affected by autism: they’re all touch-based. Apple released the iPod Touch around the same time as the iPhone, and the iPad is nearly an identical alternate form of its predecessors. 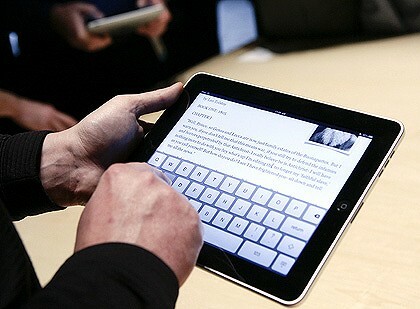 The touch-base technology allows anyone to navigate apps, software, images, just about anything, with a lower learning curve compared to standard computers. While assuming that only Apple products can help autistic people would be foolish (I’ve used Windows PCs for all my blog entries on this site), its storage and navigation techniques are intuitive, especially for non-verbals. They still may not speak, but the ability to communicate through alternate forms is increasingly easier. Apple is known for updating its products annually and introducing new devices quickly, with a captive audience of techies and journalists who will scoop up almost any Apple lead. However, when the next product is released, there’s a good chance more news stories will be published about its unseen advantages for the autism community. One of my technology friends noted its power in uniting communities, and Apple is definitely showing strides for at least one of them. It’s been a while, I know. Duties at SPNN and Community Hoops, where I cover the Minnesota Lynx, along with a lull in autism article publications, have kept me from making any new posts lately. I mentioned in a blog regarding vaccines that autism can’t kill like the diseases vaccines are designed to prevent. I haven’t been proven wrong, but a Texas mother of two autistic kids strangled both of them to death, according to charges filed by the Irving Police Department. 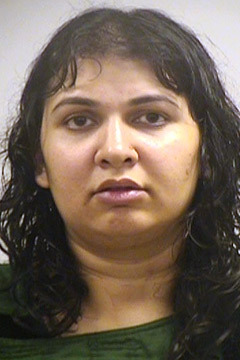 One charge has been filed, the other is still pending, but a 911 recording was released where Saiqa Akhter, a Pakistani native, tells the operator she killed her two children because they were autistic. If convicted (which is really a sure thing given the evidence presented at this point), Akhter could have the same fate of her kids since Texas allows the death penalty. Reading this story brought back memories of watching a series of stories on YouTube where a couple in a small Ohio town killed their adopted autistic son and made up a story that he was missing. Akhter didn’t go that far, not that it relieves her of any wrongdoing. 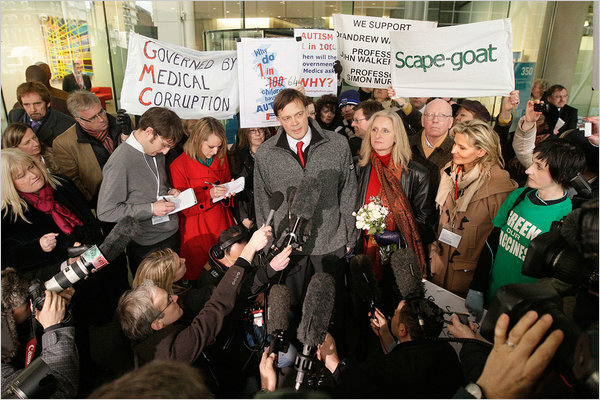 Ideally, a news outlet or two could pick up this story to highlight the frustrations of raising autistic children, then present a number of options to safely deal with those obstacles. I’ve absorbed a few stories where parents give up hope for their autistic child to pursue dreams their peers will have no trouble with, but killings are very rare. This story is sure to get some office chatter going, but it won’t likely be substantial. What happens to Akhter is irrelevant, although I’m sure an update will be published on the national feeds. Very often, when parents cut their children’s lives short, mental issues are present. Signs will often present themselves, and those with keen eyes can potentially intervene before a scenario like Ahkter’s develops. This story highlights the dark side of autism. No one expects it, and no one can expect how parents will respond to the situation, but murdering children when they’ve done no wrong is bound to get you on the news without any brownie points.